This badge was issued to Vitor Henckel on 27 Dec 2017. Completion of the "Robots are coming! 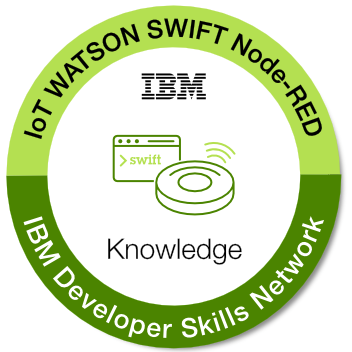 Build IoT apps with Watson AI, Swift, and Node-RED".